High power Motion performance, dual discrimination. SHARP & FAST SIGNAL RESPONSE WITH LIGHTNING RECOVERY TIME. 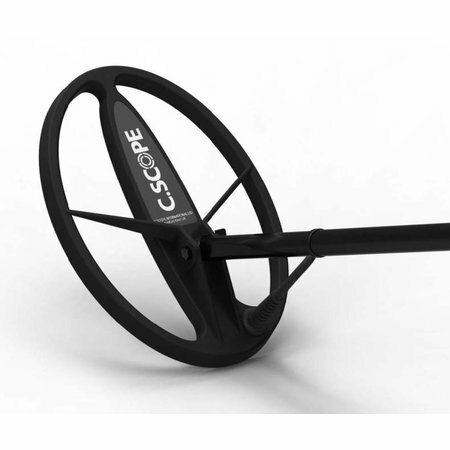 The CS4MX operates on the famed C.Scope 17kHz frequency operating system developed by C.Scope together with detector enthusiasts specifically for European and UK soil and mineralisation types. 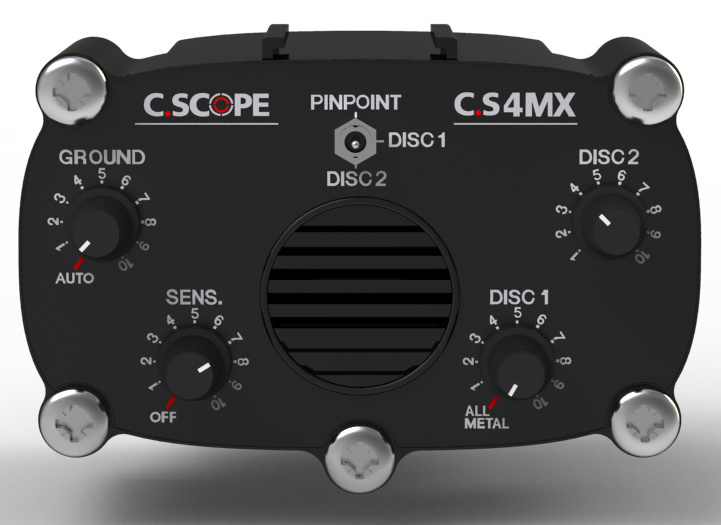 The CS4MX features the option of three interchangeable heads to enable deeper detection, greater ground coverage and optimised performance for a variety of situations. Two of these are 2D elliptical and one concentric. 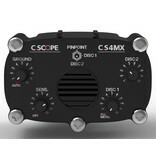 The CS4MX is supplied as standard with the 8 x 11” elliptical search head. 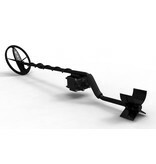 Check out the deals on extra heads ­ you will be surprised how generous we can be. 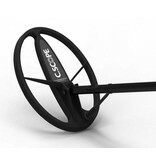 The CS4MX has an Auto and Variable Ground Exclude Control for more precise ground elimination on mineralised sites. 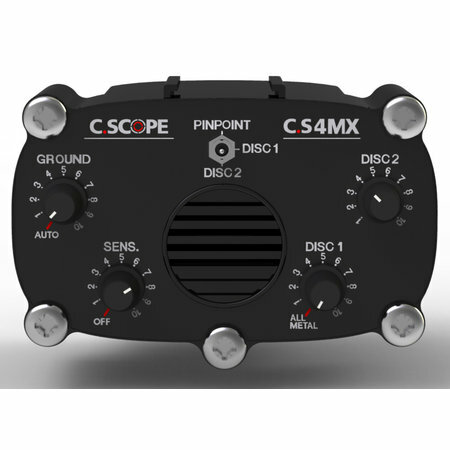 The CS4MX has Two Discriminate Controls for an instant comparison and analysis of signals. 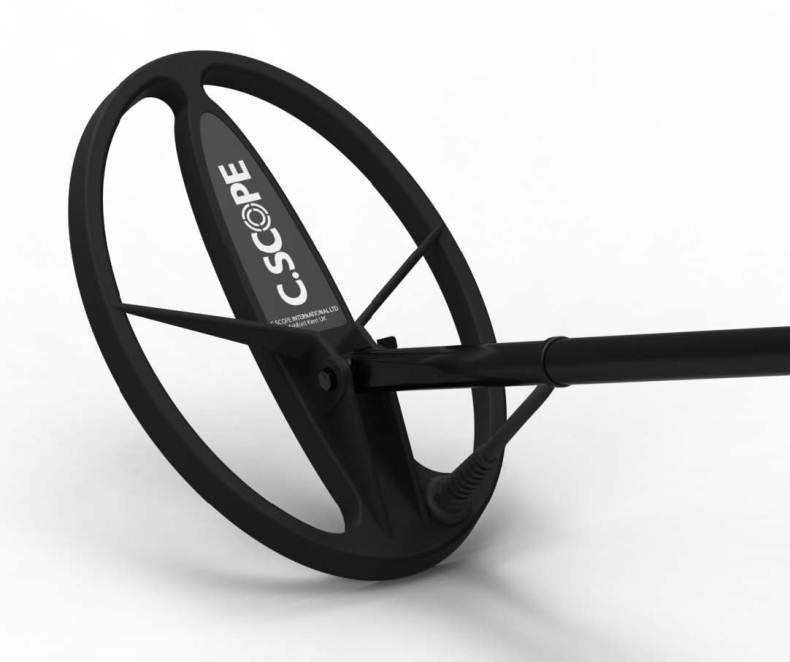 Discriminate 1 can be set low to eliminate iron and Discriminate 2 set high to still accept small hammered silver. 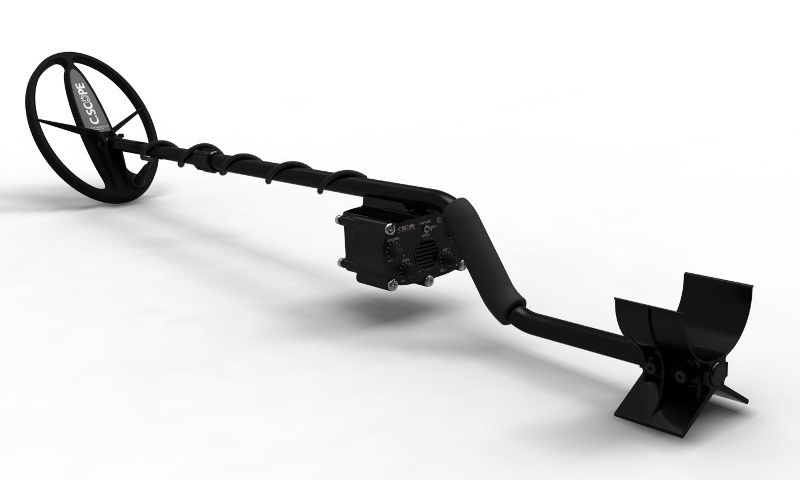 There is also a Pinpoint Function which switches off the motion effect so that the search head can be brought to rest over the exact target location.